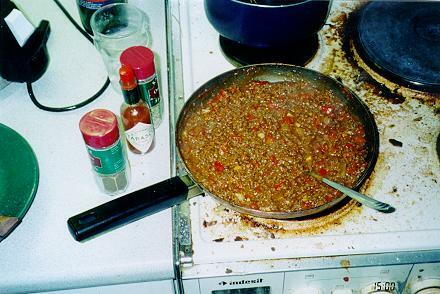 I need the healing powers of a meal thats made from mince. But without my ground-up beef I just dont think I could survive. Its affordable by all, if youre a pauper or a prince. Oh wonderful, delectable, delicious-tasting mince. I couldnt be a veggie, eating tofu every day. Id probably get violent if you took my meat away. Id be in jail, and all because you tried to nick my mince. But I wont entertain those things, theyre vile, I spit them out. Theyre loathsome green carbuncles and their texture makes me wince. Bugger them, theyre rancid, and Im happy with my mince.